The two of us became friends when we were just 5 years old and we have always had a strong connection to THON. Coming from large Penn State families, we were exposed to THON’s amazing mission early on in life by attending THON Weekend at the BJC with our parents, regularly donating to canners, and hosting canning trips for older siblings. As we entered 6th grade together, we encountered our first personal experience with pediatric cancer. Early into the year, we lost one of our beloved classmates to Sarcoma, a very rare and severe form of cancer in both children and adults. Experiencing a death of someone your own age at this stage in life can be confusing and traumatic. It affected us greatly along with many of our classmates, and would inspire us to try to make a difference for other young children affected by cancer. As sophomores in high school we came across the opportunity to host a Mini-THON, which is a modified version of the 46 hour dance marathon. When we saw this, we knew how important it was to bring THON’s mission to our own community. We gained approval and support from school administrators to hold a 12 hour Mini-THON involving the entire Great Valley School District. From this Mini-THON we raised over $25,000 for the Four Diamonds Fund! Since this time, we have been greatly involved in THON at Penn State. 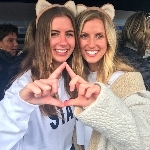 From participating in THON committees, holding THON related positions in our sororities, and fundraising for our own organizations. However, this year we have made the decision to become an Independent Dancer Couple outside of these organizations and work together again to reach our goal to raise awareness and funds to beat pediatric cancer! We would like to thank each of you for all of your support. As an Independent Dancer Couple the closer we are towards reaching our goal the more chances we have for being selected in the lottery to dance on the floor during THON Weekend 2019. Dancing in THON has always been a dream of ours. However, no matter the outcome of the lottery system, we are excited and honored to do everything we can in the effort to end pediatric cancer. Join us in our commitment to turn childhood dreams into reality by supporting THONTM. Together, Allison and Dustin, are taking action by uniting with 16,500 student volunteers and over 25,000 alumni supporters in the fight against childhood cancer. Our year-long efforts culminate in a 46-hour, no-sitting, no-sleeping dance marathon each February to celebrate our survivors, remember those we’ve lost, and take a stand--all in hopes of one day dancing in celebration of a cure. Allison and Dustin have been working tirelessly all year with the hopes of being selected to dance in THON 2019. Independent Dancer Couples are dedicated individuals who set up their own fundraisers throughout the year, and with the support of friends and family, will obtain tickets in a lottery system in the hopes of earning a spot as dancers in the Penn State Dance Marathon. 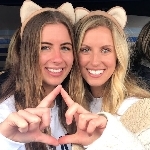 With your contribution, you will bring Allison and Dustin one step closer to being able to take a stand against childhood cancer during THON Weekend 2019.